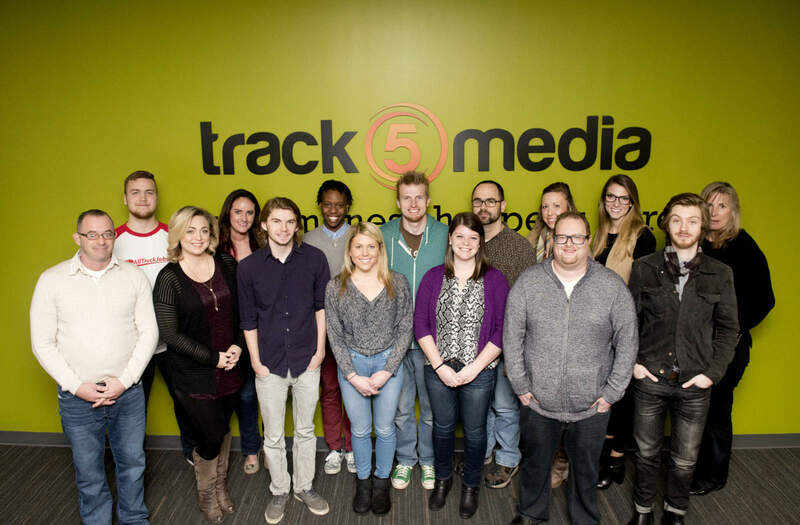 2016 has certainly been a whirlwind year for us here at Track5Media. New projects, honors, staff members, and accomplishments are just a few things that have highlighted this past year, but now it’s time to look towards the future. We’d like to continue growing all our sites, including our newest project, seniorcaring.com as well as continue to grow the company and give back to the community as much as we can. While we don’t have any specific goals for 2017, we can promise that we’ll strive to be a company that provides great service, gives back to the community and creates awesomeness. We all strive to better ourselves here at Track5, so it was about time we thought about 2017 and what we wanted to accomplish in the upcoming year. Some of us opted for the traditional New Year’s Resolutions focused on health and virtue, while others decided to think of a particular hobby or interest they’d like to focus on. Here’s what our staff is looking to accomplish in 2017. My New Year’s resolution is to learn or try something new. I’ve always wanted to learn to knit and I’ll be signing up for some dev 101 courses – coding is a fascination of mine. My resolution would be to strive to be healthy, learn more and finish my private pilot’s license. I would like to spend more time on hobbies that help me grow as a person. Instead of spending free-time binging every Netflix show possible, I’d like to focus on becoming a better guitar player, reading, or learning more about SEO and internet marketing. Next year, I hope to continue to push myself outside of my comfort zone, educate myself more on issues that are important to me, and spend more time living experiences in person instead of wasting my time online watching others live theirs. My goal for 2017 would be to become a better bass player. My New Year’s resolution is to throw off the conceptual prison of altering my undesirable behaviors in relation to arbitrary markers of time, while instead working to do so on a daily basis. Or, maybe just to continue with 2016’s resolution which was to eat more brisket sandwiches – either way, works. I have a few New year’s resolutions that I’d like to focus on for 2017. I would like to spend more time outside with my puppy by hiking and going for long walks. I’d also like to read more and I just joined a virtual book club with some friends so I’d say I’m off to a good start. My New Years resolution is to travel, spend more time with my siblings, and drink more water. I’d say my New Year’s resolution would be to exercise more ( cliche I know) and spend more time with my family. Back in April, I wrote a blog series about the digital ad blocker war unfolding between publishers and web consumers. During that series, I wrote about the money publishers were (and still are) losing due to users employing ad blockers. Today, I’m going to discuss another way publishers are losing money: ad fraud. Yesterday, White Ops, a firm that provides online fraud detection services, released a report indicating that they have uncovered the largest and most profitable online bot fraud operation to date. A single Russian cybercrime group that the security firm has dubbed Ad Fraud Komanda or AFK13, used a bot farm to generate as much as $5 million worth of fraudulent revenue per day. The fake video views operation has not only exposed the vulnerability of our online networks, but it has also created a new level of ad fraud we have never seen. Large publishers like ESPN, Fox News, The Wall Street Journal, Facebook, and Yahoo have all been affected. Not only are publishers feeling the pressure, media companies, brands & agencies, ad network platforms, data providers, fraud detection vendors, and analytics firms are also likely to be affected by Methbot. Methbot, named for a line of code found in the program, is a bot-farm operation that targets premium video ads, generating up to 300 million fake impressions daily. They did this by creating a horde of web browsers run from nearly 572,000 fraudulent IP addresses on its own dedicated servers. The spoofed more than 6,000 domains to rack up fake video views and enabled the Russian cyber crime operation to attract millions of advertising dollars. The Methbot was able to make the half a million IP addresses appear like they were coming from all over the US. Their custom software allowed these addresses to act as humans that are only online during the day, using the Chrome web browser, and a Macbook laptop. The program will spoof the URLs of major publisher websites, though the page will actually have nothing more than what is needed to support the ad. The publisher’s server will never be contacted. Methbot will request a video ad from an ad network using standard industry protocol. The faked domain registrations allowed Methbot to trick ad networks algorithms to purchase Methbot ad space. By using one of Methbot’s identifiers, they get credit for it instead of the publisher. Once the spoofed publisher page wins the ad auction, the video is “played” through a proxy in their created web browser. Anti-fraud and viewability verification codes are also loaded and fed false signals through the program to make requests seem genuine. Methbot Impression Request Volume, Source: White Ops Inc. In September of 2015, the White Ops team first noticed some automated web traffic coming from a unique bot signature. This was quarantined and placed into monitoring. It wasn’t until October of this year that the bot morphed into what is now known as Methbot. It started racking up hundreds of millions of false video impressions and gaining fraudulent revenue. Many people are wondering why the Methbot operated undetected for over two months. The reason is this ad fraud method is unlike any past digital advertising fraud we have seen. This program was able to get around typical data center detection methods with innovative fraud methods. This was a carefully planned out ad fraud method that paid special attention to avoid detection. After acquiring thousands of fake IP addresses that appeared to be from real internet service providers, Methbot was able to act as a human user. This is different from typical fraudulent ad schemes that require an unsuspecting user to accidentally install malware on their computer. 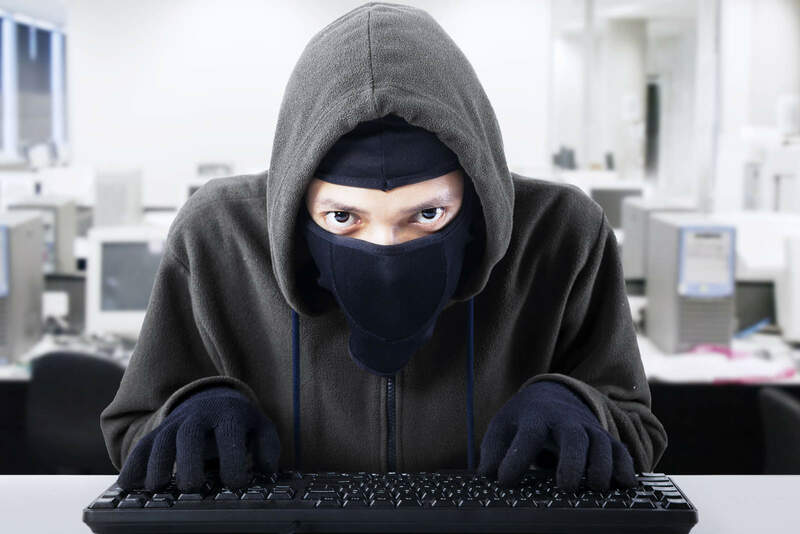 The cybercrime group was able to control these IP addresses and create fake clicks, geographical locations, mouse movements, and social network logins. They did this to appear as active web users across homes in the United States. The group also implemented countermeasures against verification codes from more than a dozen different ad technology and fraud detection companies. By taking these steps, they usual methods to find fraudulent digital ad practices were obsolete. By impersonating established sites, impersonating human internet users, and circumventing ad network verification procedures, Methbot was able to direct revenues from publishers to AFK13, to the tune of about $3 to $5 million a day. Every year, billions of dollars in advertising revenue is lost due to fraudulent clicks, fake traffic, and other scams. With the way the online advertising field is structured, we may continue to see hacker and cyber criminals take advantage of our digital advertising spaces and more. There just seems to be little incentive to stop the fraud. There are so many different layers and middlemen in ad networks. In fact, more than half of all internet ad impressions are never seen by human eyes. Sites are using all sorts of shady tactics to get more impressions. Many advertisers are well aware of the problem, but just don’t care. Some advertisers don’t care about the scams or inflated metrics that come with it. As long as their clients pay them, they will continue to use shady digital advertising tactics. The Trustworthy Accountability Group (TAG), a joint effort of ad industry major trade groups, and White Ops are teaming up to fight Methbot. On their site, White Ops has released lists containing the spoofed domains, compromised IP addresses and more. The groups are blacklisting internet addresses that Methbots used. They are also adding them to the master industry list used to weed out ad fraud. Last week, the group also began an ad certification program. This will verify that ad exchanges are taking place by the actual buyers and sellers. Payment for these ads will go directly to the website publisher. By getting rid of some of the middlemen fueling fraud in digital advertising, perhaps they can keep something like this from happening again. Though that seems quite unlikely. The internet is a constantly evolving place where cyber criminals can creatively and innovatively commit all sorts of crimes. The Russian group, Ad Fraud Komanda, has not been caught yet, but law enforcement has been working on it. The chief operating operator at White Ops said they have been working with law enforcement for weeks. Hopefully, that will be the start of collaborative efforts to shut down Methbot and rethink ad network verification methods. With the holidays quickly approaching and 2016 coming to an end, we’ve seen all sorts of interesting tech trends and new products shaping everything from energy to SEO. When it comes to marketing, I can’t help but think about how we’re constantly being guided toward immersive experiences – whether through a brand or the content itself. New platforms like Blendle and even things like Google’s Accelerated Mobile Pages (AMPs) are making it so users avoid the fluff and get right to the content they’re looking for. At the same time, mobile video is still poised to make huge strides forward as one of the fastest-growing ad formats in 2017. It all feels as though it’s leading to one thing: Virtual Reality Marketing. Okay, it sounds a little out there, but just hear me out with this one – the technology is finally hitting the market and platform support is here, so inevitably that means an outpouring of marketing opportunities and considerations as we step into the void of VR. 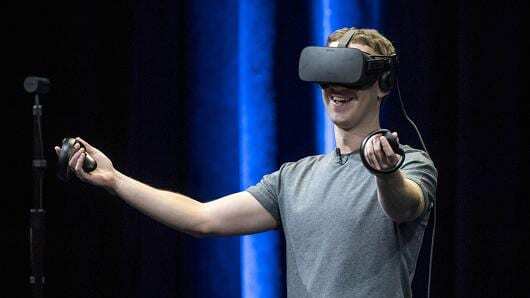 Facebook CEO, Mark Zuckerberg demos a VR headset during the Oculus Connect 3 event in San Jose, California. As with most things in the world of technology, whether it’ll be adopted by consumers all comes down to pricing and platform support. Seeing as VR is available on a massive scale for the first time during the holiday buying season, it’s not unlikely that users will only become more comfortable with this technology from here on out. 2017 is likely to bring cheaper options for things like VR headsets and its sister technology, the 360-degree camera – because what’s the point of total digital immersion if you’re still in 2d? Platforms like Facebook and YouTube are already well on board with 360-degree video, providing a pretty stimulating experience even for those viewing via standard computer monitors or smart phones. So yes, soon we’ll all be flying around the inside of commercials like some sort of capitalistic lucid dream, but that shouldn’t take away from the other potential ways the digital world may use VR marketing. Cheaper options like Google Cardboard and their push for entry level peripherals may guide daily VR marketing and usage to your average social media user. As immersive as it is, a virtual reality is inherently isolating – everything’s occluded beyond your immediate visual feed within the headset. Naturally, the next step is to pair our disjointed, digitally-mediated social experiences on Facebook with a complete sensory placeholder! Okay, maybe that was a facetiously low-blow for a technology that could provide some genuinely enriching experiences for people who wouldn’t otherwise choose to be social, or those without the physical ability to do so for that matter. Still, it’s appropriate to be wary when reality comes with download options. Whatever the future holds for VR marketing, it’s a given that 2017 will usher in the golden age of video advertising via social platforms. If you’re anything like me, you’ve read the title of this post and thought, “It is really necessary to tell adults how to act at their office holiday party?” But if you’re also like me, you’ve heard the holiday party horror stories and/or have witnessed them first hand. So, here I am writing this cliché office holiday post, and here you are reading it. Let’s just get through this so that you can share it with your coworkers. Or you can keep these tips to yourself and silently judge your coworkers while you wonder if they will still have a job the next day. The choice is yours. Believe me, you’re not the only one that gets excited when you hear about an open bar. That doesn’t mean you need to drink everything you can. The point of your holiday party is to have a good time with your colleagues, not get drunk. Don’t be the person that says crazy things you’ll regret the next day (or that will make your boss rethink your status as an employee). The office party is not the time to break out your little black dress you wore with a sash and a tiara on your last birthday. It’s also not the time to break out the Nike slides and sweatpants that you’re going to lounge in this weekend. You’re not going to the Met Gala, but it is a business event and you should dress accordingly. Also, be mindful when giving compliments to your coworkers. Avoid saying anything that may make a coworker feel uncomfortable. Don’t say any comments that may suggest anything sexual. And please, I am begging you; don’t use the holiday party to confess your feelings to your office crush. It’s not the time or place, especially if they don’t feel the same. That could make things awkward for everyone. The office holiday party is not the time to engage in gossip. It’s not the time to talk about office pain points, complain, or vent. If you’re not getting along with a particular coworker, the party is not the time to talk about it. Don’t announce that you’re quitting or that you hate your supervisor. The office holiday party is not the time nor the place for this sort of talk. What you thought was just chatting with your office buddies could very quickly turn into some serious consequences in the near future. Refrain from talking about sensitive subjects like bonuses or the president-elect. Perhaps not everyone in the company got bonuses. And believe me, no one wants to get into a heated debate about politics or religion. If you and your coworkers have been drinking, the last thing you want to do is drive home inebriated. You should also be careful asking a coworker to give them a ride home. You don’t want to seem overbearing or like you are being the “mom” of the office. Instead, try encouraging your coworkers to split an Uber or Lyft ride with you. Depending on the culture of your workplace, passing on an invitation to the office holiday party could hurt your reputation. You don’t need to be there all night, but at least make an appearance. Stay for like half and hour and then be on your way if you really don’t want to be there. And if you attend, actually engage with your coworkers. You didn’t get all dressed up and come to the holiday party for some hors d’oeuvres, so don’t stand by the food all night! Talk to some people outside of your department that you typically don’t get to spend time with. Enjoy yourself. Don’t assume that you can invite whomever you want to the office holiday party. Make sure it is okay to bring a spouse, significant other, or friend. If you’re not sure if you get a plus one or not, ask. If you get to bring a guest, don’t bring someone that is going to act inappropriately and reflect poorly on you. You’re probably going to be shaking hands for at least some of the evening. Keep your drink in your left hand so you don’t have to give someone a cold, wet handshake. This means your cellphone should be in your pocket (except for when you’re taking selfies, of course). Since your right hand is free to give out the best handshakes all night, do some networking. Find something in common with that executive or supervisor that you never talk to. 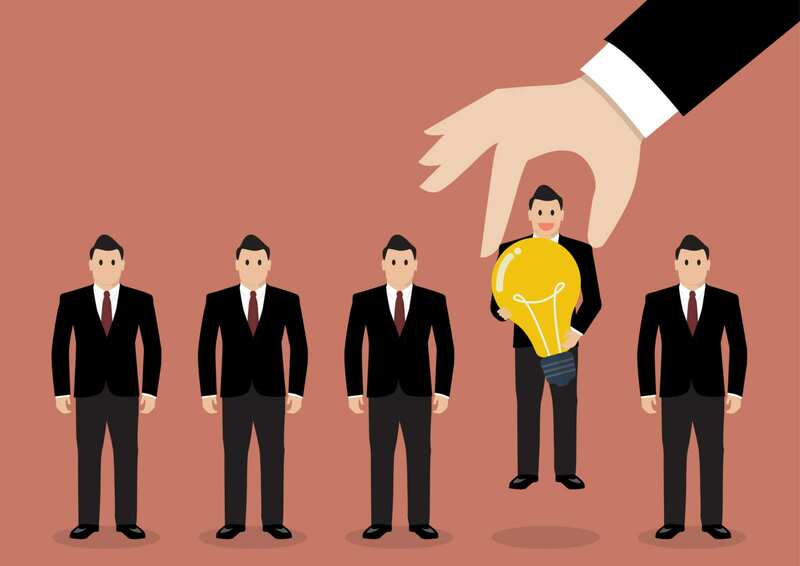 It’s always a good idea to build or strengthen your business relationships, and you never know when that top-level manager might consider you for that promotion. Now if you’re like me, you don’t need to be told to have a snack before going somewhere! However, if you’re having a cocktail hour before any snacks or dinner is served, you’ll want something in your stomach. Plus, if dinner is late, you won’t be too hungry. When dinner is served, make sure to socialize with everyone. The holiday season is a time to eat, drink, and be merry. 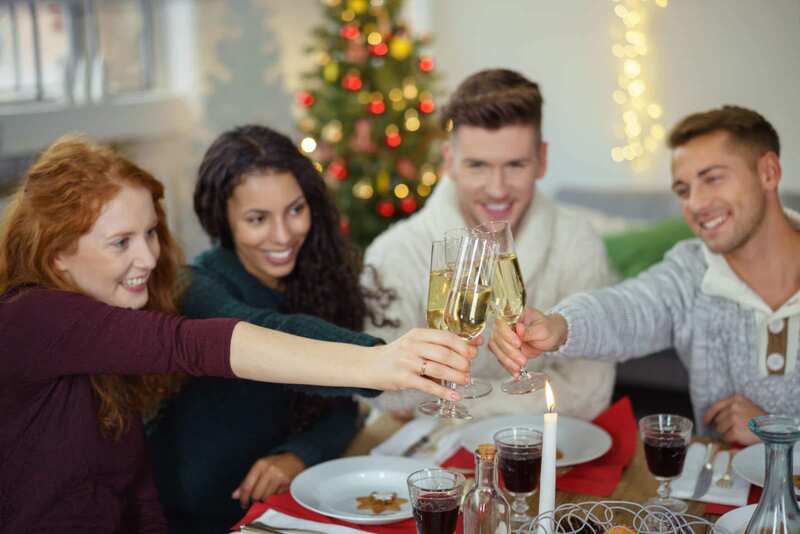 Thank whoever planned and arranged your office holiday party, enjoy yourself, and follow these tips so you still have a job when you make it back into the office. Well, 2017 is rapidly approaching and as we search for those last minute holiday gifts, it’s time to look at “what” and “how” people will be doing their searching next year. As Search Engine Optimization continues to grow and transform at lightening speed, it’s time to get a head start on what we can expect from 2017. With the recent launch of Google’s Penguin update, many SEO-conscious marketers are trying to predict was this year will hold. Here are a few SEO trends for 2017. While mobile accessibility has been highly recommended this year, Google’s new emphasis on mobile search ensures that it should become a staple in your SEO gameplan this year. Google’s AMP (Accelerated Mobile Pages) project is encouraging companies to really pay attention to their accessibility of their mobile site. This is essentially a new standard that will be set for all mobile sites to create a faster and more appealing user experience. Since its launch in February 2016, many SEO experts are treading cautiously. If AMP becomes yet another fad to come and go, companies might end up putting a lot of money into something that won’t produce many benefits. However, now that mobile searches have surpassed desktop searches, many believe that AMP is Google’s serious attempt at bringing SEO to the mobile market. Surprisingly, voice-search as begun to catch on within the last few years. With home assistants like the Amazon Echo hitting the market, many predict that the amount of voice searches performed in 2017 will greatly increase. Remember the phrase “featured snippet” because you’ll be hearing a lot about it in 2017. This snippet shows up at the top of the SERP whenever a question is answered. This is important because many companies will be looking to land their brand in the featured snippet. Anytime your brand ranks in the featured snippet area, Google is essentially saying that your brand has the most trusted information, which is a good thing, and will lead to hundreds, if not thousands, of clicks! Google is always looking for richer snippets to provide to users, so you’ll want to be as specific as possible when marketing your brand. Given the fact that voice search keeps growing at a supersonic speed (over half of US teens & 41% of US adults use voice search on a daily basis), this extra branding opportunity might play a vital role in your 2017 SEO marketing plan. Cross-channel marketing is one of the SEO trends for 2017 that will also be a key strategy to implement in 2017. We’ve talked about mobile and voice search which are both separate marketing channels. Now it’s time to figure out how to integrate your brand into a variety of channels. Organic search, social media, and email are just a few channels that you’ll have to juggle next year, and with the growing popularity of mobile search and voice search, this presents many opportunities to finish 2017 on top. Unlike multi-channel marketing, these SEO trends will focus primarily on the transition between other devices and platforms. If a user searches for your brand on their phone using voice search, your marketing plan should seamlessly integrate into other channels like their social media platforms and email. While it’s tough to balance all of these channels, pinpointing the proper audience and best integration plan can make 2017 a success. Another big change this year is Google loosening the reigns on 3xx redirects. Previously, Google would penalize you for using certain redirects on your site, causing your PageRank to decrease. However, a few months ago Google announced that using redirects would no longer affect PageRank, allowing many SEO experts to breathe a sigh of relief. While it’s still not a good idea to have a ton of redirects on your page, you shouldn’t stress about having a specific kind of redirect on your page. These SEO trends for 2017 will allow companies to focus less on redirects, and more on implementing an excellent marketing campaign for 2017. As the temperatures begin to drop outside, things inside the Track5Media office have been heating up. As we prepare to launch our newest project, a senior caring website designed to help find the perfect senior care service for your loved one, we still managed to find time to link up with good ol’ Saint Nick to spread some holiday cheer around the Lancaster area. Luckily, not only are we good at networking with other businesses, we’re also pretty close with Kris Kringle himself. Our team of elves was hard at work earlier this week, building toys and wrapping presidents for children from local organizations like Milagros House, Mom’s House of Lancaster, and Church World Services. Bracelets, stuffed animals, and racecars were just a few of the toys that came out of the workshop. Intent on bringing Christmas cheer to those less fortunate, the Track5media team of elves set out with the man in red to bring joy to as many children as possible. “Having just joined Track5Media in August, this year was my first experience with the Day of Giving, and boy was it incredible! 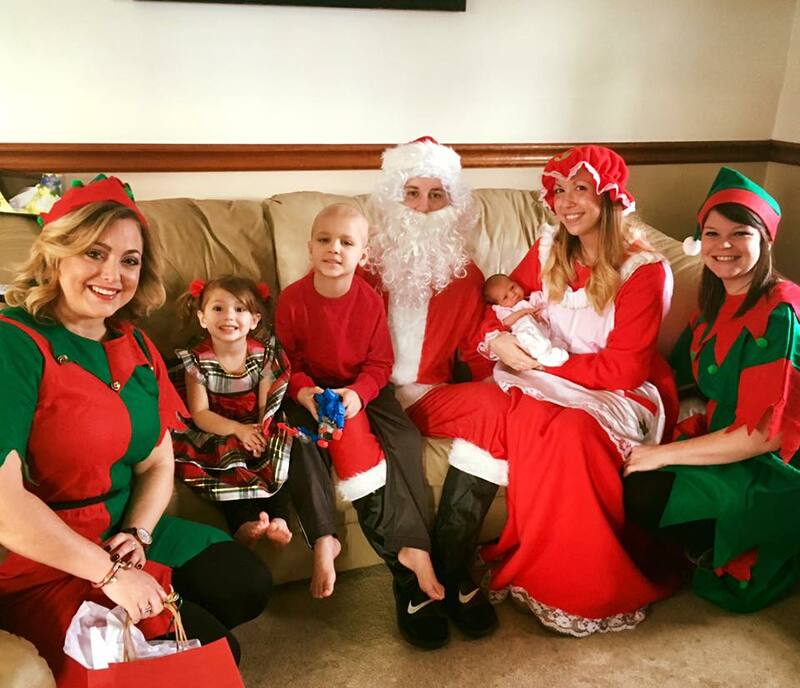 Not only was every team member of Track5Media glowing throughout the day, but the looks on the faces of the children we gave gifts to is something I’ll never forget,” said Margaret Colebeck, Internet Marketing Manager, and associate elf. 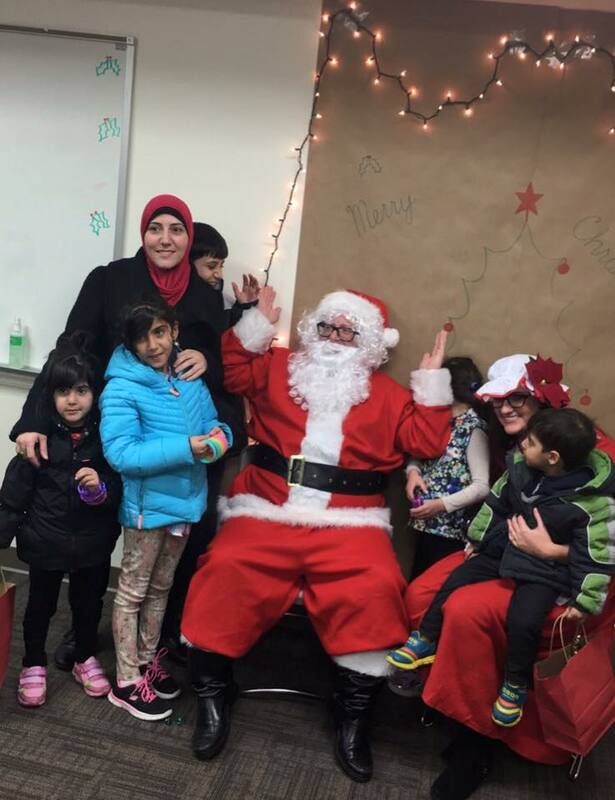 Although Santa may have gotten a little lost on the way, the children were still excited to spend time with Mr. and Mrs. Claus. “Unfortunately Mrs. Claus made me cut down on the cookies this year, but I knew I needed to stop by Lancaster a little early to spread some Christmas cheer. 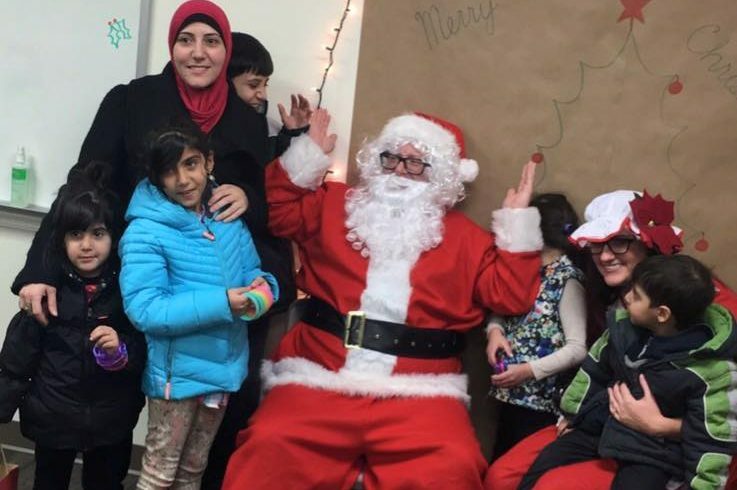 These kids deserve a very merry Christmas, and luckily I had some friends at Track5Media that were willing to lend a hand,” said Santa. 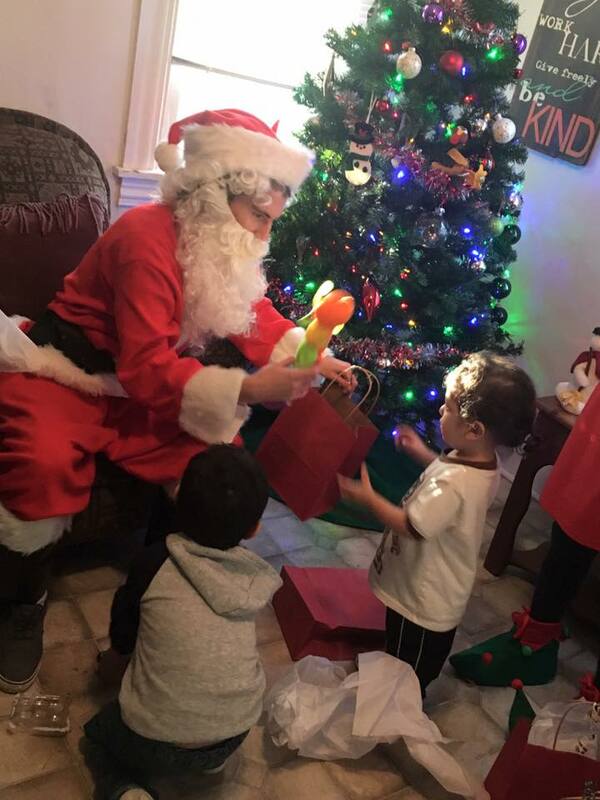 Santa stopped by the Milagros House to spread some Christmas cheer. During the holidays, many families and children can’t afford to have the ideal holiday celebration, so our owner and head elf Oliver Feakins wanted to make sure the Track5Media team gave back to the community. With the holidays rapidly approaching, it’s important to think about the less fortunate. A small gesture during this season can go a long way, so be sure to look into the dozens of non-profits and other organizations that could use your help this year. The holidays are a time of giving, not receiving, and many of these children are just happy to have simple necessities. “Despite the challenges life has thrown at these children, they still manage to smile and get excited about life. And that, right there, gave me the perspective I needed. It reminded me how much joy can be produced with even the smallest act of kindness,” said Colebeck. Fortunately, all children were on the nice list this year. We live in an age when information rules all. The effortless transferral of ideas, fact or fiction are our everyday reality and it’s important to come to grips with that. Trending stories, viral news, clickbait, fake news, and straight propaganda devise the fabric of our social media experience whether we like it or not. Scanning recent headlines, you’ll find any variety of actual corruption and cyber attacks, as well as posts targeting specific political figures with erroneous and manipulative claims. Recently, fake news stories even drove a man to attempt a mass shooting at a local pizza shop. As incredulous as these posts are, it turns out that many people can not actually tell the difference between real and fake news stories. Worse yet, these posts are incredibly profitable, with some fake news authors making up to $10,000 a month. Though, it may not even be the petty bloggers we should really be concerned following the considerations of a report released by PropOrNot, a supposedly independent group of computer scientists and journalists looking to “expose” the true culprit: The Russian propaganda machine. As a twist and given the contents of the report, mainstream media outlets are just as responsible for promoting the fake stories as foreign Russian botnets, automated social media accounts, and paid human trolls are for spreading the information, even if they are doing so unknowingly. 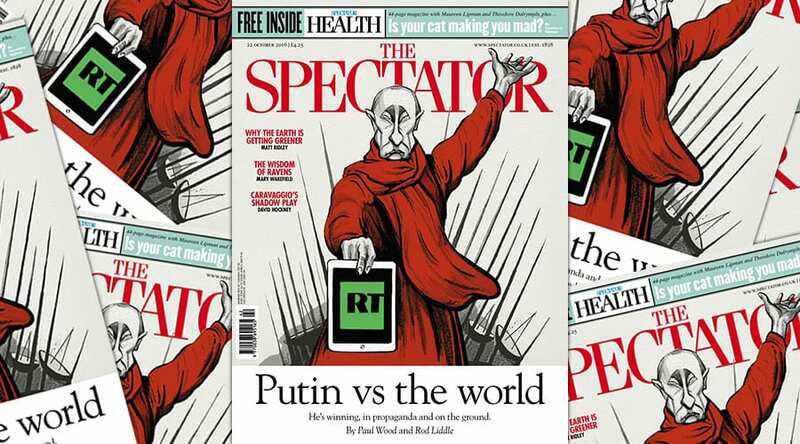 The Spectator is known for its covers of social commentary and satire. Yet, a simple Google search will likely bring equally condemning accusations between The Washington Post and Russia Today. Each outlet claims the other is the finest purveyor of the black art of fake news writing, making it painfully obvious neither side wants to admit their misdeeds. To keep it simple, those in dissent are the writers of fake news stories, while an outlet capitalizing on their biases is just a way of displaying what “resonates most” with an audience, thus the cycle continues. Seem like a good old fashion media rivalry? You’d barely be scratching the surface. In a truly Orwellian turn of events, fake news stories are now influencing the outcomes of elections, or so you’d be lead to believe. When it came to Hillary Clinton’s email fiasco, the narrative shifted to Russians hacking DNC in an attempt to conflate the event with whistleblowers like Wikileaks, an organization with a 10-year record of never falsifying a document or being connected to Russian in any way. Although the Department Of Homeland Security and Office of the Director of National Intelligence on Election Security issued a statement saying they were confident of Russian involvement, it’s still unclear whether the Kremlin itself or low-level, non-government affiliated Russian hackers were actually responsible according to other sources. Meanwhile, Paul Horner self-made fake news journalist, has taken public responsibility for helping the Trump campaign saying, “I think Trump is in the White House because of me. His followers don’t fact-check anything — they’ll post everything, believe anything.” Fake stories have similarly fueled nationalistic, white supremacists attempting to rebrand neo-Nazism as the “alt-right.” Before this gets too messy or political (which I fear may be too late), let’s backtrack and be productive about this issue. During this recent election particularly, Facebook has been under fire for providing ad space for fake news sites and other hyperpartisan outlets. To start tackling this epidemic, the website is banning fake news publishers from using its ad network, working to integrate a series of new initiatives such as AI machine learning, and also partnering with fact checking organizations. Yet, this problem is alive and well now, so what can we as users do? 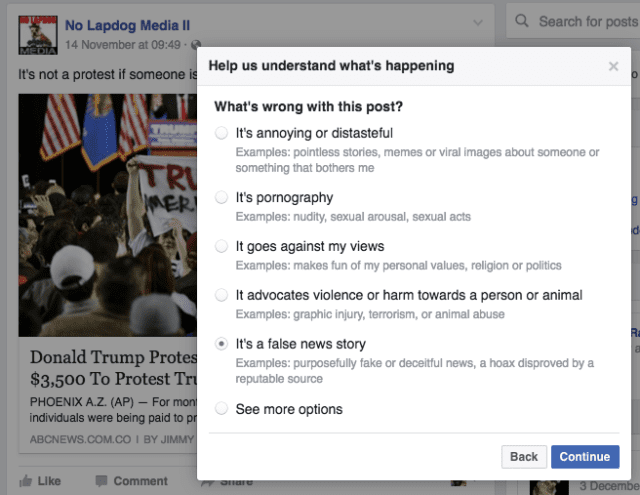 Using your best judgment (and assuming you’re a morally firm, reasonably egalitarian, and dare I say, a relatively positivistic thinker and internet-goer) you, yes YOU can stop the spread of fake news stories by addressing each one should they be unfortunate enough to enter your Facebook feed. All it takes is a simple click into the top right corner of a link to a story, where you’ll be funneled through the process of reporting the content. Checking ‘it’s a false news story’ will flag the post for review by Facebook and add to the volume of similar reports throughout the site. Addressing one story at a time can have the same effect as mindless shares. What’s the date of publication? It’s not always easy to tell what is true in this rapidly changing and (sometimes purposefully) confusing world of digital information. Although, just as it’s important to share and spread awareness about causes and events that really matter, you’ll need to make sure that the information is correct and the logic is sound before it’s posted to the detriment of public opinion and possibly actual policies. As always, recognizing one’s own biases and inclination to prune a social feed into an immaculate echo chamber is increasingly important, even if we’re exposed to ideas we find offensive – such is the means by which we can grow to become a more digitally literate internet and society.